Finished with either light grey or white, the Chantilly tall chest is a fabulous and gorgeous piece of French style furniture crafted from solid pine wood. 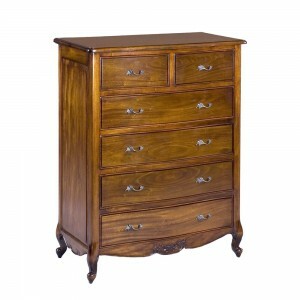 This chest of drawers has a simple but elegant design with smooth curves and edges adding french charm that complements a number of interior styles. It is especially beautiful because of the dazzling glass handles.